A decorative decal of a paper boat, fascinating design for children. A perfect design for to decorate your child's bedroom. This wall sticker will make your children can enjoy their playing time in their own room! 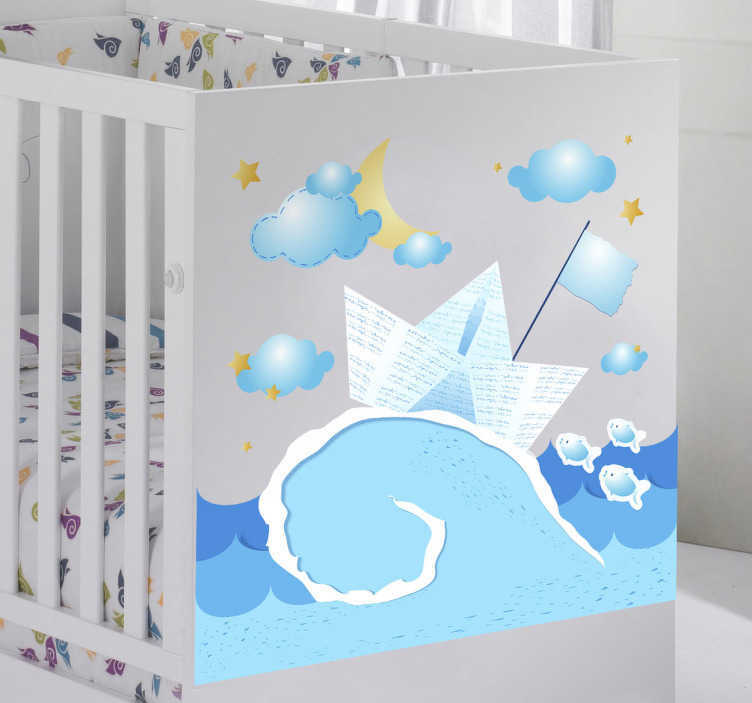 A paper boat which sails in the middle of the night over the waves, enjoyable decal that brings fun!